First off, they love you and you love them. They give you a reason to get up in the morning. They need feeding, walking, changing, stroking, cuddling, and all the things in between. 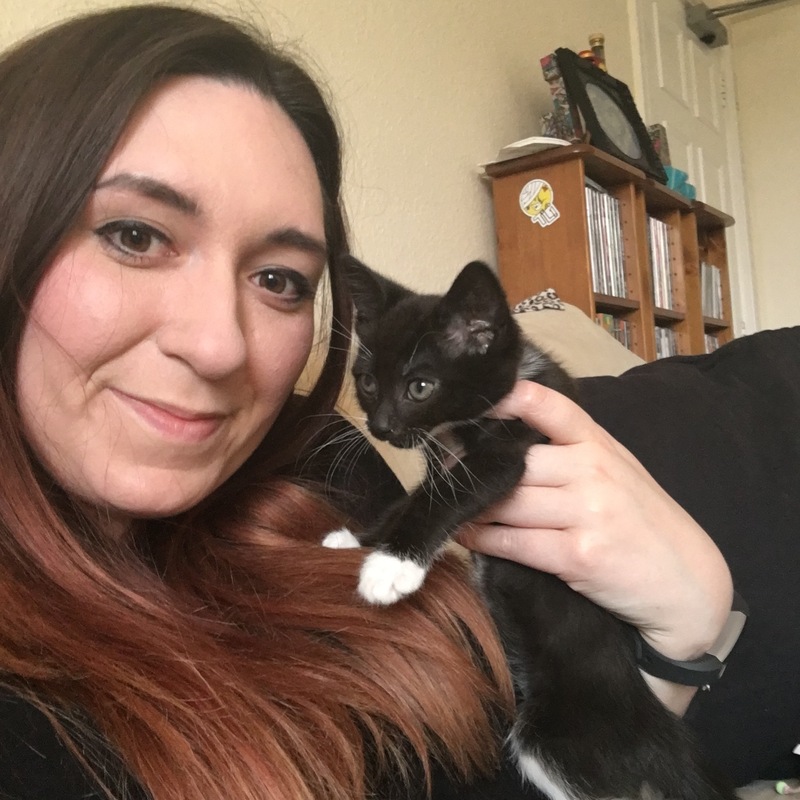 Now I am a crazy cat lady, and people say that cats can survive on their own, but I just love Luna so much, I couldn’t stand the thought of her going without for 1 minute. And even though she can be super naughty sometimes, when she stands on my chest at 4:30am, purring away in my face, my heart just melts. Of course next, there are all their little quirks that just make them unique. For Luna, she loves water running from the tap. She just sticks her head right under. She comes to the bathroom with me. She sits on Jack’s shoulder like a little pirate kitty. She likes to get in the fridge too. We have no idea why. She has her favorite toy, Mr Mouse, who she always brings up to our bedroom at night. Its adorable. For others, your pet may have a certain position it sits in, a little dance it does when treats are in the vicinity, or even its own funny little bark that just makes you chuckle every time. Its these little things that make your pet your own, and just increases your reasons for loving them. Thirdly, they listen to you and *rarely* interrupt. They are like your own mini therapist! And although you generally won’t get a verbal response from them (unless you own a talking dog like Brian from Family Guy), you know they are there for you. If you’ve got a cat or a dog then they can normally sense when you’re stressed or upset, and just need a snuggle and with normally oblige! One of my final reasons (although there are millions out there) is that you can find your own special little things to do together which you both enjoy. Dogs will enjoy snuggling up and watching TV with you, as well as a fun walk. My friends rabbit comes over and dances around the room with her. 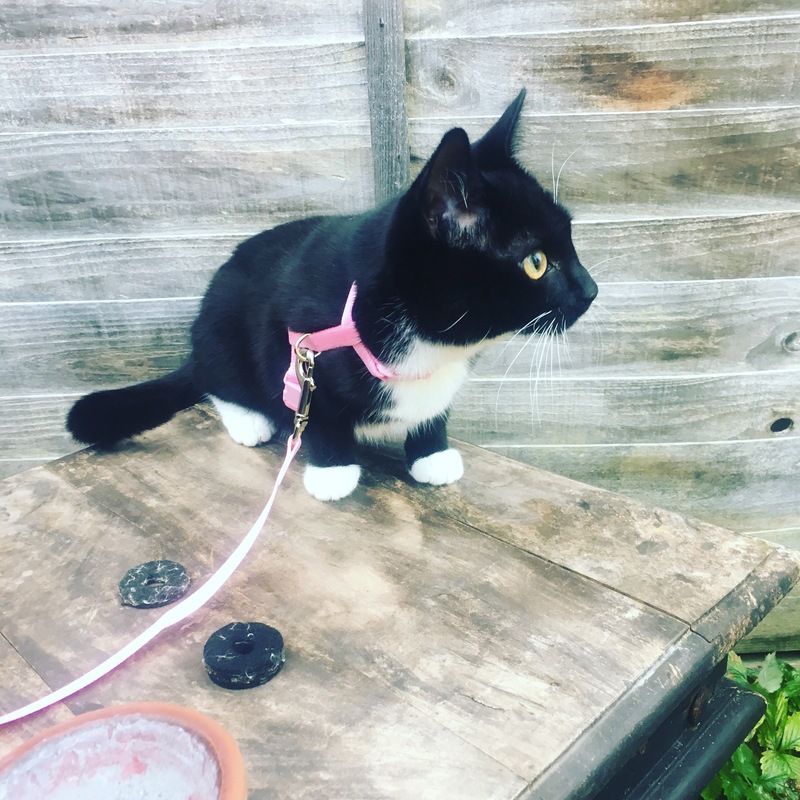 We’ve started putting Luna on a harness to go outside. She knows exactly where to stand now and seems to be really enjoying it! She’ll also cuddle up on the bed with us after a long day and purr us to sleep. So ultimately, look after your pets, they really do love you!